Most Millennials were raised by Baby Boomers and are often misunderstood by Gen X, Traditionalists, and even the Boomers. Millennials were born roughly between 1981 and 1996. This means that the Millennial age span is 23 – 37, and organizations can no longer afford to neglect their preferences: data shows that two out of every three Millennials hope to move on from their current employer by 2020. When you understand what motivates this generation (also known as Gen Y), you gain a compelling competitive advantage in attracting, retaining, and engaging Millennial talent that fits well with your own organization. Remember, old ways won’t open new doors! Here’s what motivates Millennials and maybe you. Millennials want to make a positive difference. This group is after more than just a paycheck: they crave a sense of purpose. 84% of Millennials say that helping to make a positive difference in the world is more important than professional recognition. Furthermore, 78% of Millennials seek an employer with values that match their own. Your organization doesn’t need to take on world peace to attract this socially-conscious generation. Small actions can go a long way! Doing good can take many forms, from a commitment to recycling in the office to team service outings (group activities + giving back=a twofold Millennial magnet!). Therefore, it’s crucially important that your organization’s meaning and purpose isn’t just lip service. Millennials are allergic to disingenuous corporations; transparency, trust, and follow-through win their loyalty. It’s no secret that each generation is the result of the coming-of-age factors that shaped them. Millennials are the byproduct of team sports, group projects, and cluster-style school seating. Therefore, it makes sense that they crave collaborative work environments. Companies that allow feedback from all levels of the organization attract more Millennial talent. Rigid, formal corporate structures repel Millennials by discouraging their contributions. Companies who encourage everyone’s ideas to be heard will not only have a huge competitive advantage in retaining Millennials, but will likely notice an uptick in creativity and innovation, too. 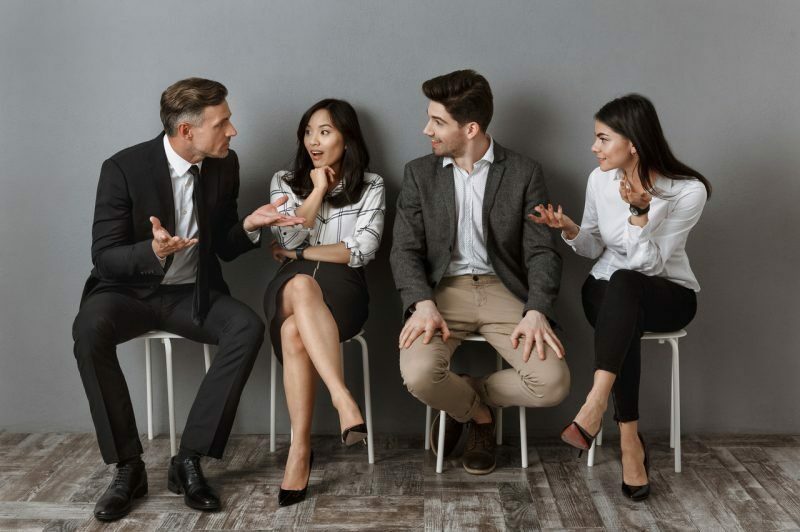 Open seating, roundtable discussions, and collaborative virtual tools all help to maximize Millennial employees’ productivity and engagement. Millennial talent places a premium on feedback from managers. Millennials are the least engaged generation at work. However, those who meet with their manage on a regular basis are twice as likely to be engaged than their peers. This generation desires a close relationship with their higher-up, viewing the relationship as that of a coach or mentor. They grew up with constant coaching, instantaneous feedback from teachers, and uniquely close parental relationships. After a lifetime of ongoing communication, it makes sense that this age group feels uneasy about being suddenly left in the dark about their work performance. Feedback doesn’t have to be time-intensive; simply initiating an open-door policy or sending a quick “just checking in” email can help reduce the Millennial retention risk. Millennial talent thrives in flexible working environments. Millennials favor companies that recognize that they’re humans with lives outside of the office. In fact, 3 out of 4 Millennials say that work-life balance drives their career choices. This isn’t to say that Millennials are less devoted to their jobs than their predecessors; it simply doesn’t make sense to them to clock in from 9-5 if they can work anywhere with Wi-fi. To these digital natives, it’s about working smarter. This group believes that as long as they do their work well, they should be able to do it their way. Millennials are actually more inclined to remain ‘on’ during ‘off’ hours than any other generation; being plugged in to email and text 24/7 is natural for these multitaskers. Giving Millennial talent the opportunity to work remotely is a huge draw. Companies that show they value employees as humans, not just workers attract more talent from this group. Health and wellness programs that demonstrate care for employee wellbeing have a huge ROI in terms of loyalty and retention. Again, a work-life balance is more integral to a Millennial’s definition of success than a high salary. Millennial talent values your company culture above all else. Millennials crave a positive work environment that offers a sense of camaraderie. Sounds kind of nice, right? But, some still view this as a need to be coddled at work. The truth is, however, that everyone benefits from a more supportive company culture. The word “culture” isn’t about bouncy-ball chairs or free vegan lunches; it’s more about the environment you provide for your employees. Fun perks might garner initial interest, but a good (aka, non-toxic) atmosphere is what makes Millennial talent stick around. This group wants to feel connected to their organization. Team-building activities, company outings, mentorships, or “on-boarding buddies” for new employees are all great ways to nurture these bonds. Culture is about the behaviors that fly in your organization, too. As a leader, you can shape a more Millennial-friendly culture simply by expressing gratitude for a job well-done or encouraging an open-door policy. Remember, Millennials are constantly connected to what everyone else is doing, whether it’s a Kardashian sister or their college roommate who now works at Facebook. What happens behind closed doors no longer stays behind closed doors; it is broadcast within seconds. This creates a state of unparalleled comparison with their peers. Millennials feel pressure, a responsibility even, to plot their exit strategy when they see other companies providing the engaging culture that your organization lacks. What Millennials want isn’t much different than any other generation: They want to feel good about the work they’re doing. The difference is that Millennial talent is far more likely to leave and seek opportunity elsewhere if they don’t find it…which can lend itself unfairly to the “self-absorbed” label. The power of employee engagement is unparalleled. Happy and engaged employees=greater productivity, every time. With this age group now dominating the workforce, companies that update their work culture with Millennial-friendly values will reap the rewards of a talented, productive, and engaged workforce. To learn more about how your company can put these insights into action, check out my keynote presentations on generations in the workplace and employee engagement.